Windows have gone a long way from their historical role of providing a view. Today’s windows come in a range of styles and innovative features. That said, choosing the right windows that fit you and your home requires consideration. Rogers Roofing offers three basic rules that make new window selection so much easier. Rogers Roofing carries all popular window styles. While these styles are associated to particular house types, we suggest bucking that trend. 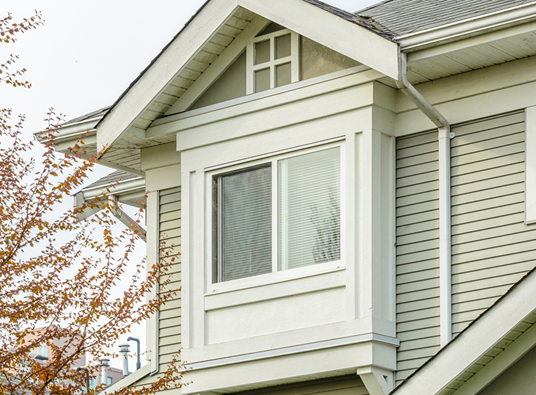 Why provide your Queen Anne type home with smaller double-hung windows when you want to bring in more light? Similar to roofing in Orland Park, IL, windows can meet different needs. Speaking of matching, many people fall into the “one window fits all” mindset. They decide on one window type and run with it through the rest of their home for consistency. That might be a good idea for the front of your home where you do want a unified look, but you can be more liberal for the other sides. The way you create a unified look is by applying similar embellishments like the same grilles and colors. This way, there will still be similarities even if you pick different window styles. We carry two great brands at Rogers Roofing: Marvin Windows and Great Lakes Windows. Apart from coming in the whole range of styles, these are also highly durable and resilient against the elements. Many roofers in Northwest Indiana are also happy to recommend these brands because their windows regulate heat transfer. Apart from saving you on energy bills monthly, these also keep things at comfortable temperatures. Follow these three rules and you are sure to find the perfect window for your home regardless of what type it is. For a little hands-on assistance in selection, contact Rogers Roofing today. We will start you off with a free consultation.